On our way to Ngorongoro Crater and climbing the steep, southern slope of Ngorongoro Crater, we stopped briefly at this outlook to see where we had been. 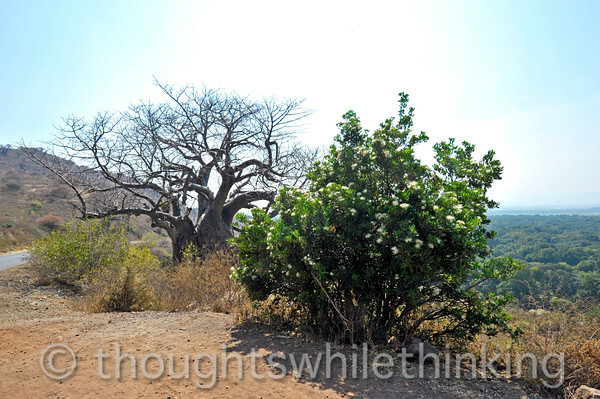 Baobab tree and, probably, a bead-bean tree. Please comment if you can definitely identify the bead-bean tree as something else.